After reading a comment from one reader earlier today, I realized that sometimes we writers (me in particular) sometimes don’t explain things fully. We get a little keyboard/wordpress happy and just start typing out things that make sense to us, but not at all so that you hockey lovers out there understand our shorthand for the boys. So here it is, my list of current nicknames, but don’t worry, your favorite may end up on here soon enough! I know no one will argue with me on this, but I mean DAMN. What other nickname would suffice? None, that’s what. All I have to say is every time I think of him, I have a flashback to “10 Things I Hate About You” when Julia Stiles says “I want you. I need you. 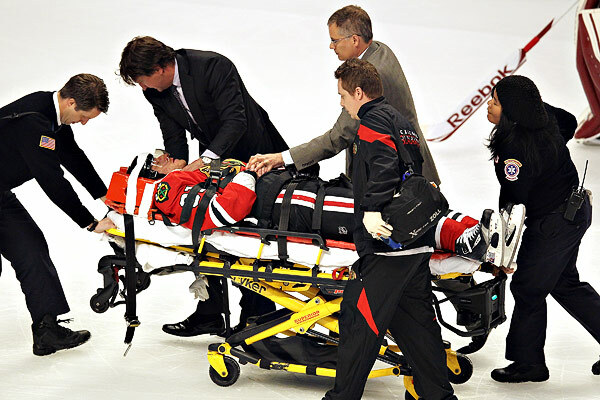 Oh baby, oh baby”….but I’m completely serious when I say that about Toews. He’s the Patrick Dempsey of the hockey world. That flow is ridiculous. And look at how cute his puppy is! M loves :) Other possible nicknames? DILF. You know you agree. You know when you pay games with little kids and they always seem to have that mischievous grin on their faces like they just did something wrong? Ladies and gentlemen, that is Patrick Kane to the T. He’s always up to no good, but damn does that smirk of his make you weak in the knees. Look how tiny he is! I call everyone that is below 5’4″ “nuggets”, since I’m 5’8″ and seem to tower over them. Even though St. Louis is nowhere near 5’4″ (he’s listed as 5’8″), he looks like a 12 year old boy who got lost on his way home from school in terms of height. He’s a fun-sized hockey player, but demands the respect of a man the size of Zdeno Chara. Love this lil’ nugget. During my sister’s freshman year of college (she went to Boston University, whaddup), she lived down the hall from two guys that we liked to call “The Wonder Twins”. These kids had known each other since elementary school, and were now living together, and still do live together, in college. They were attached at the hip and the closet (they frequented Ed Hardy……ew). Same with the Sedins, except for the whole actually being twins thing. They know what the other is doing at all times, and I’m still baffled that Vancouver somehow landed both of them. Other possible nicknames: TweedleDee and TweedleDum. 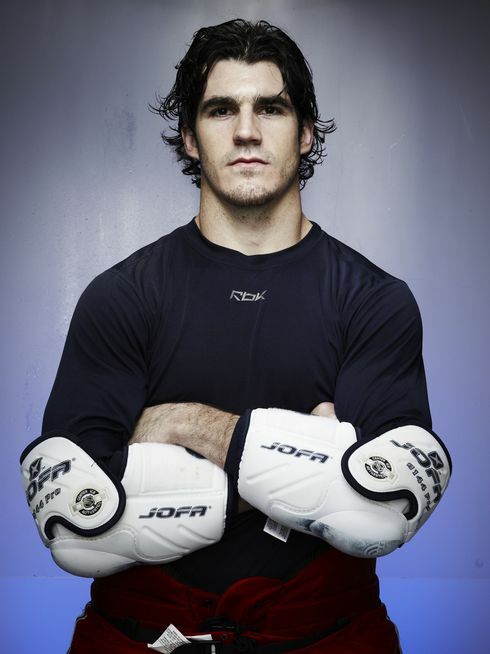 Ever since NHL 24/7: Flyers vs. Rangers, I’ve been obsessed with Brian Boyle. I already had the obsession with Brandon Dubinsky. When they showed the Rangers’ Christmas party, I fangirled my jersey off. When Boyle shouted, “SANTA! I KNOW HIM!” at Dubinsky, I fangirled my face off. Yeah. My whole face. That’s all the nicknames for now, but I’m sure there’ll be a few more in the future. Do you have any nicknames for your favorite players? Let us know in the comments! When this happened in last weeks episode of 24/7 I think it took S & I at least 10 minutes to stop laughing. SANTA!!! I KNOW HIM!!! It takes special men to dress up like this. Between the Flyers lockerroom celebration dance, all the universe talk, Lundqvist playing guitar, and the Rangers Ugly Sweater party, S & I officially no longer hate these teams. In fact, we may just *gulp* ….love….them. I know, I know…this is so against the rules (especially the Flyers) but really, we cant help it. They are just too stinkin’ cute. Everyone has that family member they see only once a year, right?! Well, this past season I found out a little piece of information from an Uncle of mine. The next guy on this countdown is a family friend. Yeah…I’m pretty speechless still. 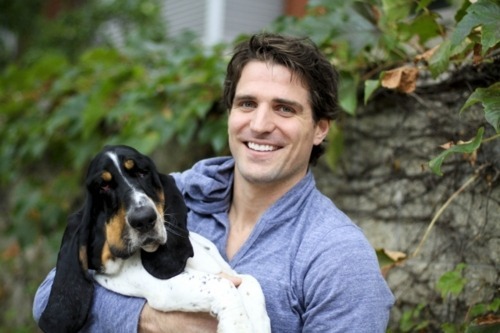 There are Brian Boyle days left! I don’t think I could have texted S any faster when I got the news. How could my Uncle hold back that information from me!? AND…why do I only see my Uncle once a year when Boyle visits his house?! Road trip?? Asking for an autograph?? Asking for tickets?? Knocking on his parents door introducing myself as the girl their boy needs in his life?? Tackling him when I “accidentally” show up at my Uncle’s house while he’s there?? What can/can’t I get away with? Who I would then pack up in a box for S and ship to Florida??? 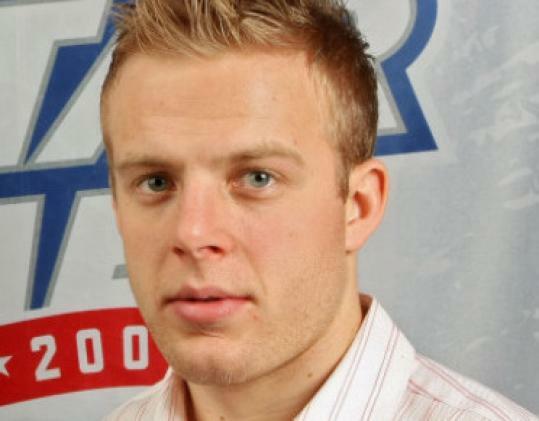 And then once I’m in with JStaal….can he hook me up with Tanger? Categories : Countdown to Puck Drop, Seriously? !